This basket measures 10" in diameter, 2" tall. The dimensions are outside measurements. It is made of white willow and available in all finishes. The sample basket is finished in Natural. 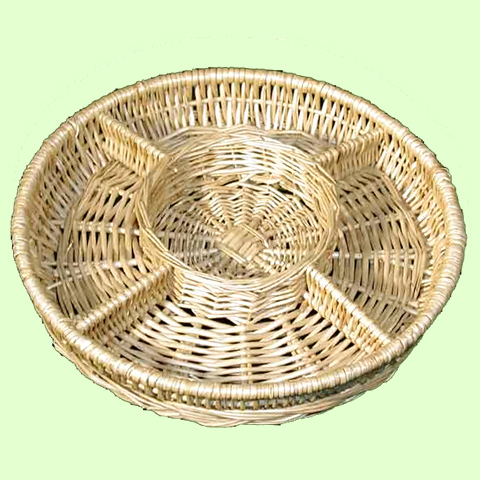 This basket is available in a larger size. Please click on item 38057 to view.